United Kingdom Private Bedfordshire Regiment 2nd Bn. Age: 23 Date of Death: 18/09/1918 Service No: 26429 B.21. 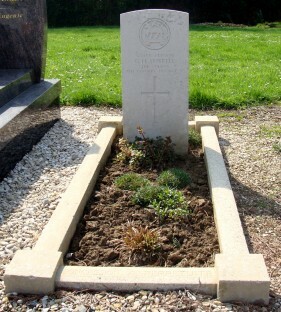 United Kingdom Private Devonshire Regiment 16th (Royal Devon & R.Nth. Devon Yeomanry) Bn. Age: 20 Date of Death: 22/09/1918 Service No: 67705 B.8. United Kingdom Private Connaught Rangers 6th Bn. 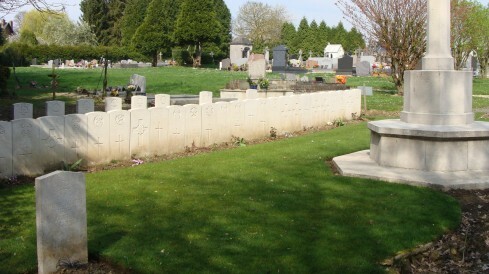 Age: 28 Date of Death: 21/12/1917 Service No: 6945 D.4. United Kingdom Private Bedfordshire Regiment "B" Coy. 2nd Bn. Age: 19 Date of Death: 18/09/1918 Service No: 41321 B.19. United Kingdom Private Bedfordshire Regiment 2nd Bn. Age: 19 Date of Death: 18/09/1918 Service No: 41550 B.18. United Kingdom Private Machine Gun Corps (Infantry) 74th Bn. Age: 25 Date of Death: 22/09/1918 Service No: 56192 B.11. United Kingdom Private Royal Welsh Fusiliers 25th (Montgomeryshire & Welsh Horse Yeomanry) Bn. Age: 23 Date of Death: 18/09/1918 Service No: 24435 B.6. United Kingdom Private Connaught Rangers 6th Bn. Date of Death: 16/12/1917 Service No: 5559 D.2. United Kingdom Lance Corporal Connaught Rangers 6th Bn. Age: 22 Date of Death: 16/12/1917 Service No: 4687 D.1. United Kingdom Private Royal Welsh Fusiliers 25th (Montgomeryshire & Welsh Horse Yeomanry) Bn.. 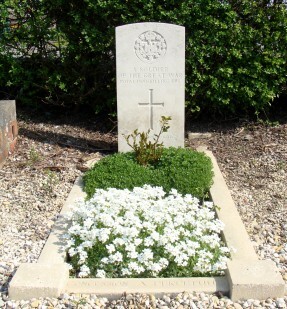 Date of Death: 18/09/1918 Service No: 58408 B.10. United Kingdom Second Lieutenant Royal North Devon Yeomanry 3rd Bn. attd. 16th (R. Devon & R. N. Devon Yeomanry Bn. Age: 33 Date of Death: 18/09/1918 B.27. United Kingdom Captain Royal Army Medical Corps Secondary Connaught Rangers Secondary attd. 6th Bn. Age: 31 Date of Death: 22/12/1917 D.6. 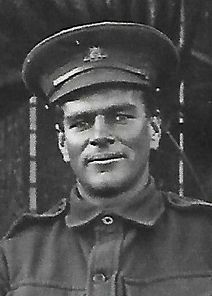 Australian Private Australian Pioneers 3rd Age: 19 Date of Death: 29/09/1918 Service No: 3282 A.6. Australian Lance Corporal Australian Pioneers 3rd Date of Death: 29/09/1918 Service No: 430 A.1. United Kingdom Second Lieutenant Welsh Regiment 4th Bn. Age: 24 Date of Death: 18/09/1918 B.28. United Kingdom Serjeant Bedfordshire Regiment "B" Coy. 2nd Bn. Age: 35 Date of Death: 18/09/1918 Service No: 19180 B.23. United Kingdom Private Connaught Rangers 6th Bn. Age: 22 Date of Death: 16/12/1917 Service No: 6667 D.3. United Kingdom Private Welsh Regiment 24th (Pembroke and Glamorgan Yeomanry) Bn. Date of Death: 18/09/1918 Service No: 56807 B.12. United Kingdom Corporal Bedfordshire Regiment 2nd Bn. Date of Death: 18/09/1918 Service No: 42180 B.24. United Kingdom Private Royal Welsh Fusiliers 25th (Montgomeryshire and Welsh Horse Yeomanry) Bn. Age: 24 Date of Death: 18/09/1918 Service No: 355220 B.17. United Kingdom Private Royal Welsh Fusiliers 25th (Montgomeryshire and Welsh Horse Yeomanry) Bn. Age: 31 Date of Death: 18/09/1918 Service No: 355342 B.15. United Kingdom Private Queen's Own (Royal West Kent Regiment) 7th Bn. Date of Death: 18/09/1918 Service No: G/30936 B.7. United Kingdom Private Royal Welsh Fusiliers 25th (Montgomeryshire and Welsh Horse Yeomanry) Bn. Date of Death: 18/09/1918 Service No: 93315 B.25. Australian Corporal Australian Pioneers 3rd Age: 27 Date of Death: 29/09/1918 Service No: 1564 A.2. United Kingdom Corporal Royal Welsh Fusiliers 25th (Montgomeryshire and Welsh Horse Yeomanry) Bn. Age: 24 Date of Death: 18/09/1918 Service No: 355075 B.3. United Kingdom Private Bedfordshire Regiment 2nd Bn. Date of Death: 18/09/1918 Service No: 13911 B.4. United Kingdom Serjeant King's Shropshire Light Infantry 10th (Shropshire and Cheshire Yeomanry) Bn. Date of Death: 18/09/1918 Service No: 230041 B.26. United Kingdom Private Royal Welsh Fusiliers 25th (Montgomeryshire and Welsh Horse Yeomanry) Bn. Date of Death: 18/09/1918 Service No: 355067 B.5. United Kingdom Private The Queen's (Royal West Surrey Regiment) 7th Bn. Age: 30 Date of Death: 07/01/1917 Service No: G/24536 F.1. United Kingdom Private Royal Welsh Fusiliers 25th (Montgomeryshire and Welsh Horse Yeomanry) Bn. Date of Death: 18/09/1918 Service No: 920893 A.8. 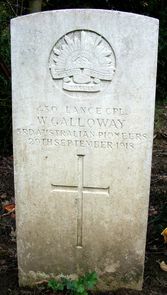 Australian Private Australian Pioneers 3rd Age: 32 Date of Death: 29/09/1918 Service No: 3360 A.3. Australian Private Australian Pioneers 3rd Date of Death: 29/09/1918 Service No: 3374 A.5. Australian Sergeant Australian Field Artillery 3rd A.F.A. Bde. Age: 27 Date of Death: 30/09/1918 Service No: 1339 A.7. United Kingdom Private The Buffs (East Kent Regiment) 7th Bn. Date of Death: 18/09/1918 Service No: G/17475 B.2. Australian Lance Corporal Australian Pioneers 3rd Age: 43 Date of Death: 29/09/1918 Service No: 926 A.4. United Kingdom Private Connaught Rangers 6th Bn. Age: 29 Date of Death: 21/12/1917 Service No: 4728 D.5. United Kingdom Private Royal Welsh Fusiliers 25th (Montgomeryshire and Welsh Horse Yeomanry) Bn. Date of Death: 18/09/1918 Service No: 355217 B.14. United Kingdom Corporal Bedfordshire Regiment 2nd Bn. Date of Death: 18/09/1918 Service No: 33108 B.20.